I study journalism at university and we are advised to have a strong online presence and I've never really been a computer-y sort of person but then I started this blog and got hooked! It's been really enjoyable to do and I really love writing, and seeing that people have read and commented on something that I have written makes me really happy! Well at the moment it's not that interesting! I am home from uni for summer and have a part time summer job at cinema. So I usually spend quite a bit of time online throughout the day, serve people popcorn and ice-cream and then see my boyfriend most evenings! Riveting stuff!!! As I spoke about a little bit here, I have written a post on Top 5 Summer Books for Faye from Girldoesgeek's online magazine called Girlgeekculture and I've enjoyed it so much! 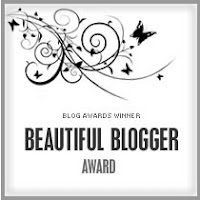 I've not done many colloaborations with bloggers yet but the few I have done have been really good, everyone in the beauty blogging community is really friendly and that's one of the reasons I like it so much! So if you don't already read these lovely blogs, do go and check those out too! That's ok I love your blog! Thanks yeah I do really enjoy it :) Which course did you pick?